Many Relay For Life events take place throughout the Central Florida area, all through the year. 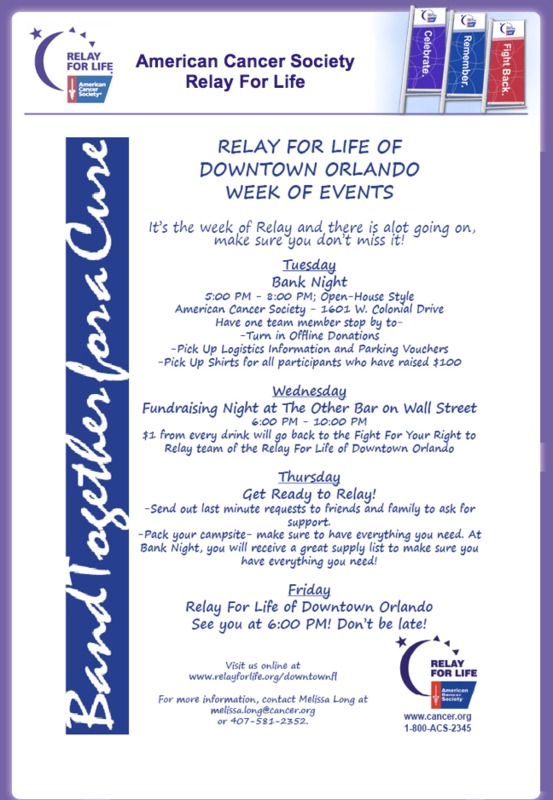 This weekend is the downtown Orlando Relay and yours truly will be there supporting it. Everyone is connected to cancer in some way, so if you have the time please come out and support either the downtown Relay, or a Relay For Life in your Community. How can I connect and donate to the KNIGHT OWLS relay team?